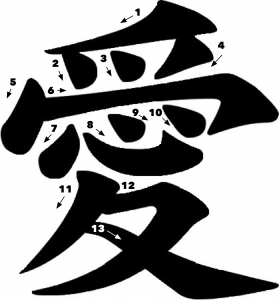 It takes 13 strokes to create the kanji for love. 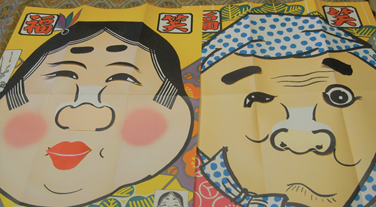 Fukuwarai is a Japanese game played around the New Year. The game is usually played by children, but adults may play also. The game is similar to Pin the Tail on the Donkey, except it is played on a table. Hanetsuki has a history of 1300 years. 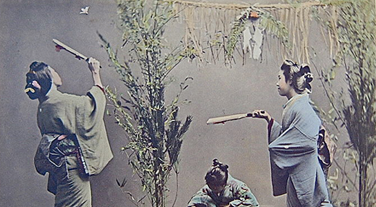 It is one of the traditional games often played during New Years in Japan, and is a girls’ game for good luck where two players bandy a fletched soapberry Hagoita (wooden paddle). 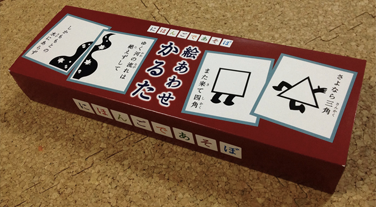 Karuta is a card game introduced to Japan by Portuguese merchants in the 16th century, and became popular between the end of the 17th and 19th century. It is popular among families during the New Year’s holidays. 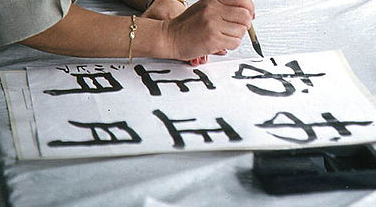 Kakizome is a Japanese term for the first calligraphy written at the beginning of a year, traditionally on January 2.